Ron Weade of the Good Hope Lions Club made a $1,000 donation to the Fayette County Meals on Wheels program. Pictured are Weade, Ginger Munro, assistant director of senior nutrition, and Lori Bach, assistant director of the Fayette County Commission on Aging. 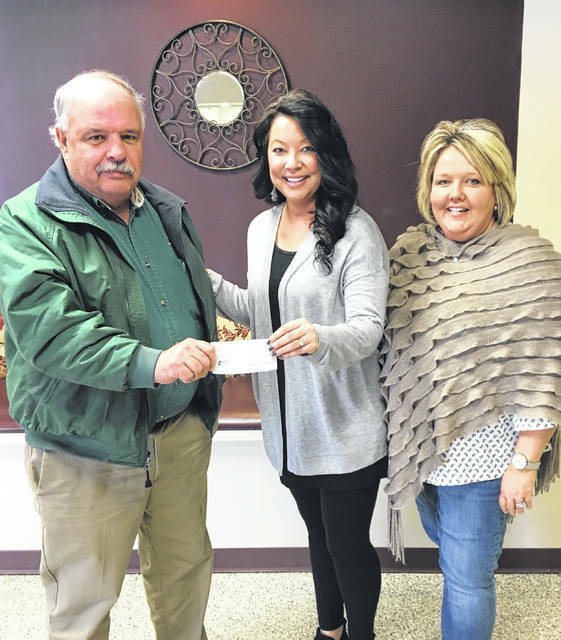 https://www.recordherald.com/wp-content/uploads/sites/27/2019/03/web1_MealsonWheels.jpgRon Weade of the Good Hope Lions Club made a $1,000 donation to the Fayette County Meals on Wheels program. Pictured are Weade, Ginger Munro, assistant director of senior nutrition, and Lori Bach, assistant director of the Fayette County Commission on Aging.